Position rack in center of oven and preheat to 400°F. Line a baking sheet with foil. Pierce potatoes in several places with a fork and place on baking sheet. 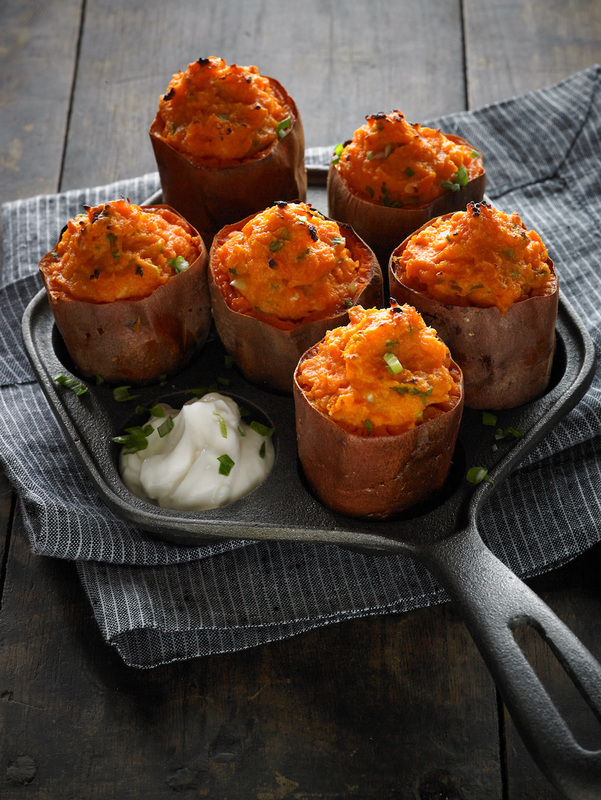 Bake until potatoes are tender when pierced with a knife (45 - 55 minutes). Holding each hot potato in a towel, slice in half crosswise. Carefully scrape out potato flesh, leaving 1/4-inch of the sides intact, and transfer to a bowl. Cut off the pointy tips of the potato shells so they will stand up; set aside. Mix in the sour cream, ginger, brown sugar and green onions; season with salt and pepper. Spoon back into the shells and return to the baking sheet. Bake until hot (about 20 minutes). Garnish with additional sour cream, if desired.